Do Doctors Still Make House Calls? With Amwell They Do! Those are hilarious (and accurate), am I right? Unfortunately, if you’re a busy mom (and what other kind of mom is there? ), finding time to take care of yourself can be a real struggle. In fact, we have a tendency to back-burner our own health in order to cross everything else off of our to-do lists. This can lead to more serious health problems down the road. Luckily, there’s a company out there that’s making it super easy for you take care of yourself and your whole family. That company is Amwell. Amwell is the nation’s largest telehealth company. 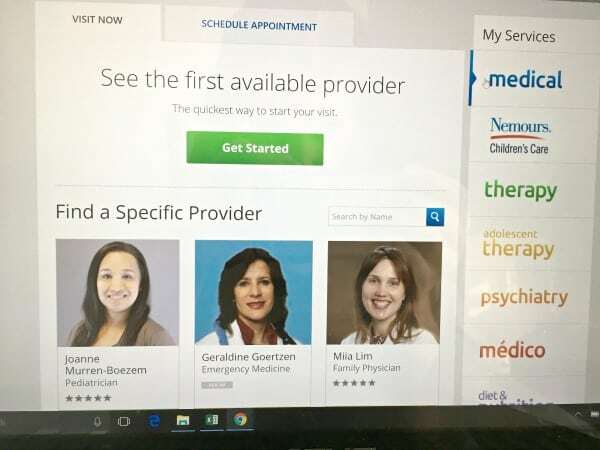 It allows you to connect with board-certified doctors 24/7 from any internet connected device. 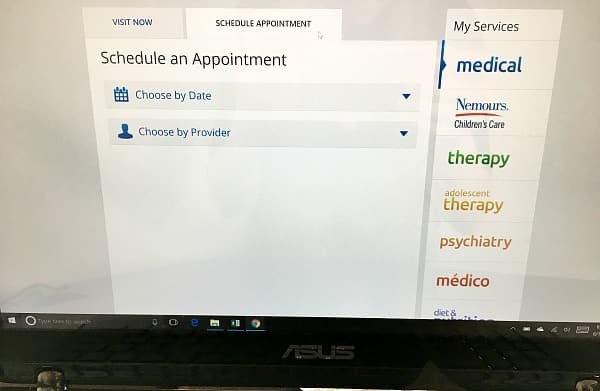 Yep, say bye-bye to struggling to get an appointment with your own doctor, loading up the kids, and then sitting in a germ infested waiting room for 30+ minutes. Thanks to Amwell you can get the medical advice you need from the comfort of your own home or even when you’re on the go (ex. your summer vacation). Minor illnesses such as colds and allergies. Minor injuries such as bee stings. Wellness concerns including nutrition advice. Lactation problems thanks to the new Amwell Lactation Services. Recently, I had the opportunity to give Amwell a try for myself, and I must say I was pretty impressed. Instead of going through the whole rigamarole of going to my doctor again, I decided to try Amwell. 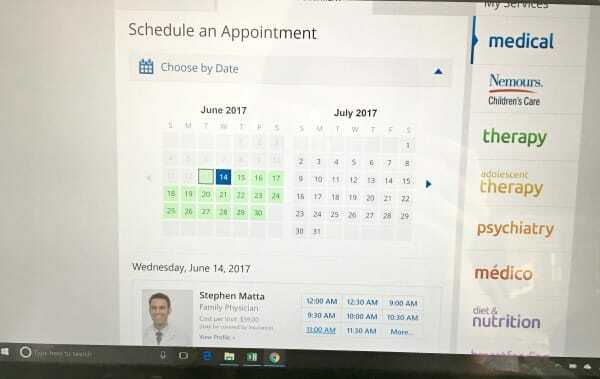 I really appreciated being able to schedule an appointment quickly (within 24 hours) and conduct the whole thing from my own home. The doctor, Dr. Imani Williams-Vaughn, was really knowledgeable and easy to talk to. We discovered that I may need to increase my current medication as my allergies may be more of a “moderate case” than a “low level case.” Dr. Williams-Vaughn said she could even prescribe this higher dosage medication which is definitely convenient. For all of my fellow allergy suffers out there, here were the questions I asked and the good doctor’s answers. Can you develop allergy induced asthma later in life like I think I did? What’s the cause of allergy induced asthma? It could be the environment or a food allergies. It depends, which is why it is important to get tested to properly treat it. Should I be tested for allergies and if so, how does this happen? See an allergist and they will prick you with a grid of tiny needles or do a blood test with a primary care physician. Is there anything over the counter I can take? Try taking Zyrtec or Allegra. Adding this to your current medication may be enough to help or you may need to add an oral inhaled steroid to use daily. Can allergy induced asthma eventually go away entirely? The doctor mentioned she is asthmatic and she uses an inhaler off and on as needed along with Singular and Allegra. I mentioned to the doctor that I recently moved from Ohio to Maryland, and I heard in Maryland they experience more humidity which the doctor said can be good for asthma. Overall, I thought the appointment with Amwell was really helpful, and I would use their services again in the future. Note: In addition to being convenient, depending on your health insurance, Amwell may actually be cheaper than visiting your usual doctor. An Amwell visit costs $59; however, using my exclusive coupon code you can save 50% off of one visit. Use code MOMHELP10 to save 50% off one Amwell visit bringing your visit cost to just $29.50! This offer expires 12/31/17. Have you tried Amwell? Please share your experience in the comments. I’d love to hear what you thought of their service.